Kalidas was one of the finest poets the world ever have witnessed. As stated in our previous article the creations of Kalidas was appraised by foreign writers and critics as well. 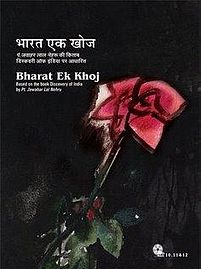 Episode 19 Of Bharat Ek Khoj – Hindi TV Serial On DVD – explores the second and final part of the tale of Kalidas, from Pt. Jawaharlal Nehru (the first Prime Minister of India)’s point of view. This segment is highly focused on the incidents happened in the life of Shakuntala and Dushyant, after their separation. Let us recap the story a little to get idea of what lead us to this point. Shakuntala was an innocent girl who lived with her parents in an ashram in the Jungle. Her father sage Kanva was a noble man who have devoted his life for greater goods. It doesn’t matter how much innocent you are the world reamin what it is. And yes, you need to meet with your fate without a doubt. King Dushyant, the mighty ruler of the land once separated from his troop, while went on for hunting. He accidentally visits the Ashram of sage Kanva and meet Shakuntala there. They both fell for each other and eventually they got married through a union ritual called “Gandharva Vivaha”. In simple words, Gandharva Vivaha is when two people willfully accepts each other as their soulmates. There are not marriage rituals happen and even often no third person was available to witness the marriage. Dushyant left one day to his kingdom. He had given his finger-ring as the token of love and commitment. He promised her to comeback and get married with her and take her to the palace. Pregnant with Dushyant’s child, Shakuntala one day was sitting idle and was deeply lost in the thoughts of Dushyant and her fate, was unable to recognize a sage asking for the “bheeksha” at the door. Feeling un-attended, the sage cursed her that, the one in whose deep thoughts she was lost, was going to forget her! However upon knowing the truth, the sage said that, the loved one of Shakuntala will remember her when he was presented with any souvenir he had given (to Shakuntala). Sage Kanva arrives back from the work he had gone for and upon knowing that Shakuntala is pregnant with a child, rather than scolding her or giving her any wisdom lecture, accepted the facts. He then decided to send Shakuntala to the Dushyant, so the couple can live together. He sends Sarangrav with her. Shakuntala lefts the ashram, but what will happen to her? Does Dushyant recognize her or not (due to the curse, Shakuntala have earned)? All these consequences are better to be explored when watching the episode. And yes, while all these stuff is explored in the episode, we see in parallel the story of Kalidas is also going on. Shyam Benegal have decided to to explore the story of Kalidas and his creation(s) parallel. He is trying to explore the link between the creation and it’s creator. He intend to explore the inside of the maker and the incidents happened in his own life and how they all are reflected in his immortal creations. Of course in addition to the director, the script writer and the original author (Pt. Nehru) deserves their due of appreciations for this magnum opus. Director brilliantly executes a nicely written script. The content is moving so flawlessly that you remain attached to it throughout the episode. There are incidents where you can draw parallel between the life of Kalidas and the characters he wrote about. Also there are some nice dialogs which holds the punch and philosophy one cannot ignore. When Kalidas says that in the palace of the king there are bodyguards and servants moving ahead and behind them giving him a cover, he often find it is like he is in a custody. He was amused that it was difficult for him to decide whether the bodyguards are following him or he is following them. It is the bizzare fact of the world that when you earn too much material stuff, you are actually trapped inside and alongwith it. The safety and security of the property becomes a headache for the owner and he sometimes even dieing for some free space where he/she can become himself/herself! There are many such dialogs and conversations in the episode that are not to be missed, however we cannot list them all here, as knowing too much about the episode may ruin your experience of watching it. Both the protagonists are played by some nice and convincing actors. It is our bad luck that such talented actors are not getting main lead in mainstream cinema. The episode is a delight to watch in terms of acting and narration. The background music is fantastic and it adds to the positives of the episode. In addition to dialogs and well thought sets, the realistic wardrobe is also a must to mention attribute of the episode. The director deliberately explores the real Arya culture where everyone was entitled to his/her views. When they are mature enough, they are allowed to take decisions. When done genuinely, the actions were not seen to judge. It was the best culture we could have. It was the time when the people remain attached to each other and respected each other for themselves. Of course, there were bad stuffs also, but as it is said where there is a place of living, there weill be dustbin! The DVD set is available in two versions, high quality and average quality. The DVD set with high quality prices double than the regular quality one. So it is upto you to decide which one to go for. You can choose wisely based on your budget. Definitely a nice episode exploring the life and incidents happened in the life of legend poet, playwright, author – Kalidas along with his creations. The simplicity in executions, nice dialogs and good performances makes it worth watching. The links between the creator and his creation(s) is explored quite nicely.